Hello! I wanted to take a brief pause from blogging to announce something I'm excited about! As many of you know, after Jinny and I moved to Boston and started a family - we've put our music on hold again. The desire to share our songs with people has never really gone away, but the reality is that the little ones take up a lot of our time and energy. Well - now that our 9 month daughter is sleeping through the night (for the most part), we decided it was time to take a small break from our break. And slowly, we hope that we'll have even more time to start writing new songs! But one step at a time! 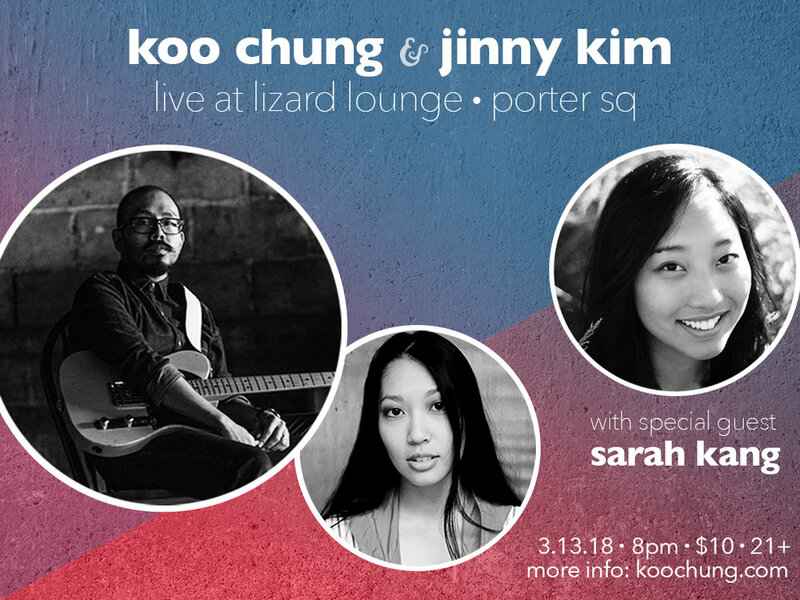 If you're in the Boston area, we'd like to invite you to a (rare) live performance at The Lizard Lounge! Unfortunately we don't do this type of thing often, so think of it as a pop-up, and don't miss out! It would mean the world to us if you joined us for a fun night of original music that we rarely get to share these days! PPS - RSVP on our Facebook Event Page to let us know you're coming!